Louisimise is one of the first people who started to work with Artists For Hope when we started the Art Co-op in Cazale. We asked for people who were interested in taking a class to learn how to make bracelets with recycled plastic shopping bags. She is one of my favorite people to see when I travel to Haiti. Lousimise is 31 years old. She has 6 children. She is illiterate and had nowhere to work and no possibilities until she started to work with Artists For Hope. Her house fell down in the earthquake and has now been fixed. We were able to visit her house and meet 3 of her children a few weeks ago when we were in Cazale. She has the most beautiful children! Lousimise is always so serious and working SO hard whenever she is with us. It was so wonderful to see her enjoying her family and smiling so much. Isn’t her smile the BEST? I think we were pretty scary to her twins. Louisimise woke them both up from a nap and put them directly into a tub of water outside her house to get them all cleaned up so I could take some family pictures for them. They look a bit shocked, but yet still so adorable! Love the bows. Her handsome son. He has the same great smile his mom does! She wanted to show us where she normally works during the day making bracelets. I love that we can now imagine where she is working every day ~ with her kids around her and so many neighbors and children near bye. Seriously. The neighbor children in the area they live in were so precious. I could have stayed there all day and played and laughed with them. I will never forget this special day and I’m so thankful for getting a little peek into Louisimise’s world. Making bracelets has really made a difference in her life. She now has a job to provide for her children. When we sell the bracelets she makes, we are able to put an order in for more bracelets. Whenever an order comes in, Louisimise is very happy. We hope this Christmas season we will get to place a lot of orders for more bracelets and make her very VERY happy. We will be debuting a new bracelet (made my Louisimise!) when our new store opens, so check back often to see if it’s time! We are home from a wonderful, difficult, emotional, beautiful, and hope-filled week in Cazale, Haiti. I actually returned home and then almost immediately jumped on a plane and had the privilege to attend the Together For Adoption Conference in Phoenix, AZ. 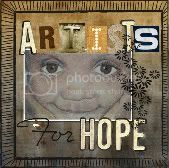 We hope to be able to go as a vendor next year and share Artists For Hope with people who desire to keep families together and prevent more children from becoming orphans. We have so many posts we want to write about, but here is a brief run-down of some of what we experienced. Time with adorable sassy children who melted out hearts. Prepared food boxes that were picked up and brought to elderly family members around the Cazale area. Helped a beautiful woman who was only 6 months pregnant give birth to triplets (she had no idea and only thought she was pregnant with one baby) and then did everything we could to help these fragile, barely 2 pound babies survive. Within 3 day all 3 babies had died and our hearts still ache for their mother and family. We laughed and enjoyed time with some amazing people in the mountains of Haiti. There is such a joy in this challenging area of Haiti, despite all the hardships. We took in every beautiful moment and watched, learned, and listened to each person we were blessed to have met. We even had the privilege to help care for a sweet little girl named Mitha that we met on our very first trip to Haiti several years ago. She was born with a severe leg deformity and a medical team was in Port Au Prince during our week in Haiti and able to amputate her leg and fit her for a prosthesis that she will be able to use in the future. We taught several new classes and are already in the process of getting things ready for our open houses that are quickly approaching. We will be listing new items on line for Holiday shopping too. I promise! We are excited to share a lot more very soon. This is why we love Real Hope For Haiti sooooooooooo much!!! Look at the difference in this child. What an amazing transformation. Every time I see these Before and After pictures I think “what if RHFH wasn’t there?” This sweet child probably wouldn’t be alive right now. So many lives would be lost. They are getting a little closer to having Lori (the amazing nurse who runs the clinic and Cholera house in Cazale) jump out of a plane. If you have no idea what I’m talking about… see the post below. Please contribute all you can. Every person who contributes to building this new hospital will be saving lives! How incredible is that?? ?